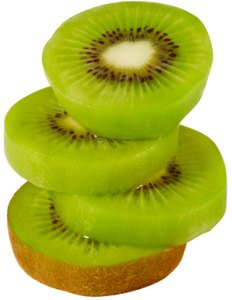 Kiwifruit New Zealand (”KNZ”) was established on April 1, 2000 when the New Zealand Kiwifruit industry was restructured through the Kiwifruit Industry Restructuring Act 1999 and Kiwifruit Export Regulations 1999. The Act established Zespri, and provided for the making of Regulations for the establishment, funding, and other matter relating to KNZ, which contain export related, monitoring and enforcement provisions. The export orientated provisions of the Regulations operate to only permit Zespri or collaborative marketers approved by KNZ to export New Zealand grown kiwifruit. The Regulations do not apply to the sale of such kiwifruit in New Zealand, or its export for consumption in Australia (which from 2004 is regulated by the Horticultural Export Authority). Refer here for more on collaborative marketing. limit Zespri from unjustifiably discriminating in the way it purchases kiwifruit and sets the point of purchase of New Zealand grown kiwifruit at not earlier than FOBS (free on board ship). require the disclosure of information by Zespri and KNZ. The scope of the Regulations and the responsibilities of KNZ under the Regulations are limited. KNZ does not have a general supervisory role in the Kiwifruit industry or of Zespri. KNZ is prohibited from carrying out any commercial activity, and does not operate to make a profit. The Regulations created KNZ as a body corporate of six members (a chair and five directors) who serve for three year terms. KNZ is based at 81 Girven Road, in Mount Maunganui. Contact us here.